Are you a book lover? A cat lover? Both? Then Hyde Brothers Booksellers is where you need to be. Floor to ceiling bookshelves line the store, along with multiple stacks of books on the floor. Don’t be surprised if you see a cat or two during your visit. Scout, the long haired, friendly cat, is more likely to approach you while you’ll have to do a little searching for Sherlock, the short haired, shy cat. If you’re shopping for a book you’re in luck, as they have around 150,000 titles. Wondering how owner Sam Hyde, managed to collect such a large quantity of books in only 23 years? Around 500 books a day come through the doors looking for a place among the shelves. At this time, the store only accepts about 150 books a day. A used bookstore is great for the community. It offers plenty of educational nonfiction, classic literature, and newer titles. You can find magnificent, old editions of your favorite books and pay less for them than you would pay, say someplace like Barnes and Noble. How did it all start? Sam and Joel Hyde (the Hyde Brothers) were in their 40’s and disgruntled with their careers when they asked each other, “What would you do if you could quit your career and start a new one?” A book that inspired them called, "What Color is Your Parachute?" suggested they do something they already know. The brothers both had always been interested in books and had a decent collection — so they decided to open a bookstore. For three years, they visited bookstores in Fort Wayne and the surrounding area, even looking into Ohio, before deciding to start from scratch and buy an empty building. They didn’t want books that people could buy from other bookstores; they wanted a store full of rare and collectible books. 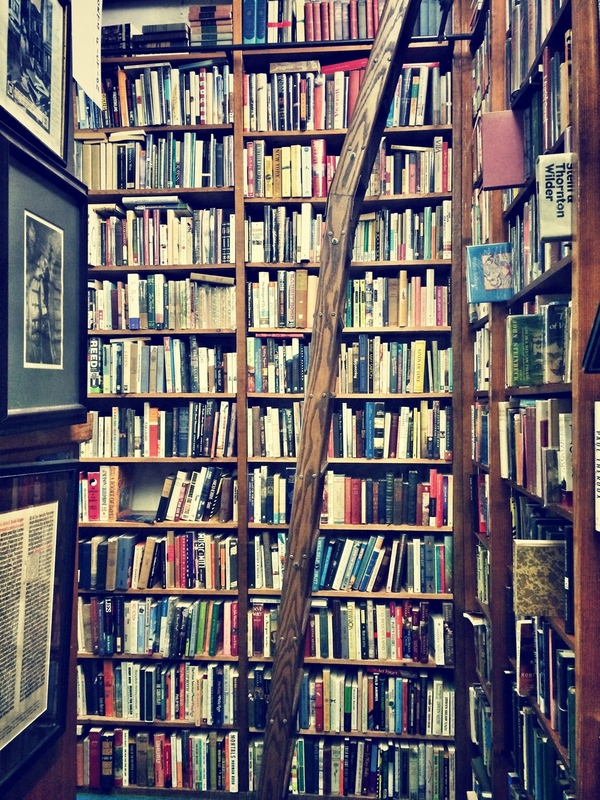 When asked what the rarest book or book set in the store was, everybody around suppressed laughter. There are so many rare books that picking just one is impossible. Sam Hyde pointed to the shelf right next to the register and said he was pretty proud of the amount of first edition prints he had, and the great condition they were in. He took a bag off the shelf behind him containing a book from ’48. Wait, let me clarify, that’s 1648. While Sam understands there isn’t a big market for people who want extremely old books, he bought it because he remembered someone who had an interest in books of that sort. In fact, most of the books Sam buys are for a specific customer. When asked about how his memory of customers affects the books he chooses to purchase and carry, he paused. “I try to remember at least one thing about each of my customers,” Sam replied, placing an architecture book in a pile for purchase. “He’s an architect,” he said gesturing to the man entering the store. It’s aspects like these that have kept the Hyde Brothers business going for so long. He pulled a stack of books regarding submarines off the shelf. A man had asked him if he had submarine books and when Sam realized there weren’t any, he went out and bought some. Of course, you could always go to a big business bookstore and search for a book that everybody has, or you could look it up online, but why do that when someone is willing to get to know you and choose rare books for you personally? Sifting through books for 23 years may desensitize you to the magic of them, but Hyde claims he still has a soft spot for Winnie the Pooh, a book he believes every child should read, and pass on to their children. With the rise of digital media, and technologies such as the Kindle and Nook, it is vital that we, as citizens of the Fort Wayne community, remember that real books don’t run out of battery. Take a look inside Hyde Brothers, let your curiosity lead you, and you may find that rare, old books can bring you much more joy than anything you can download.